Sterling silver, Turquoise, Opal, Purple and Orange Oyster Shell. 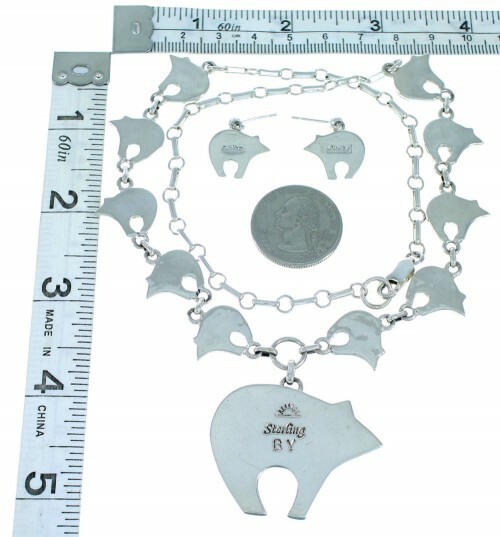 Necklace measures approximately 20-3/4" inside circumference, allowing each side link to measure approximately 1/2" long (excluding side rings), and 5/8" wide, while the center link measures approximately 1-1/4" long and 1-5/8" at widest point. Hook earrings measure approximately 1-1/4" long (including hook) and 5/8" at widest point. 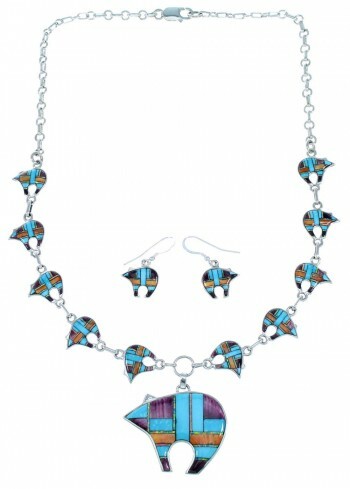 Check out this gorgeous link necklace and earrings set! 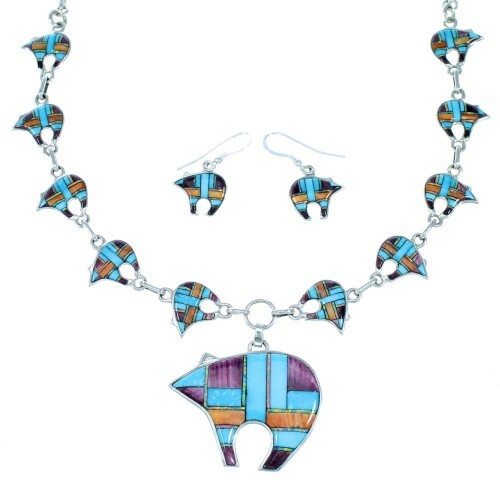 This jewelry set is hand made out of genuine sterling silver and multicolor inlay. 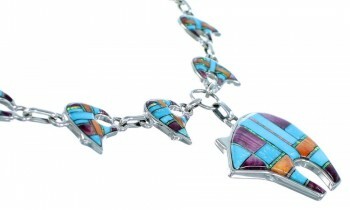 The inlay consists of: real Turquoise, Purple and Orange Oyster Shell, along with man made Opal. 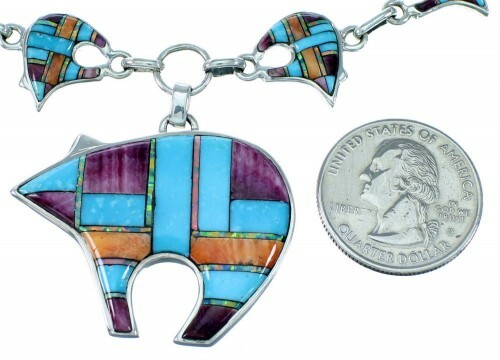 The necklace has a total of ELEVEN links, each link has inlay that is delicately set, forming a stunning Bear design. The necklace is stamped sterling and hallmarked. The earrings perfectly match the necklace and have inlay that is carefully set, while creating lovely Bear designs. In some beliefs, the bear symbolizes physical strength, leadership and is known as the "first helper". The earrings are stamped sterling.